Wild’s Jakub Hajek puts the Dragons’ defence under pressure in the 2-5 win on Deeside in November. The YKK sponsored Widnes Wild face one of their most eagerly anticipated games of the season this Sunday 3rd February when they entertain local rivals Deeside Dragons at Planet Ice Widnes – 5.30pm face off. This is the first visit of the season for the Dragons after the original date for this game at the end of November had to be postponed. Due to the close proximity (in ice hockey terms) of the two teams, meetings between Widnes and Deeside are always keenly contested affairs. There have been lots of player movements in both directions over the years and numerous friendships and rivalries have been built up. The only meeting between the two teams this season so far was in mid-November when the Wild won 2-5 away in Queensferry and, while the Dragons may currently be languishing in 7th place in the Laidler Division table, 22 points behind the Wild, recent form and league positions count for very little in these local derby matches. 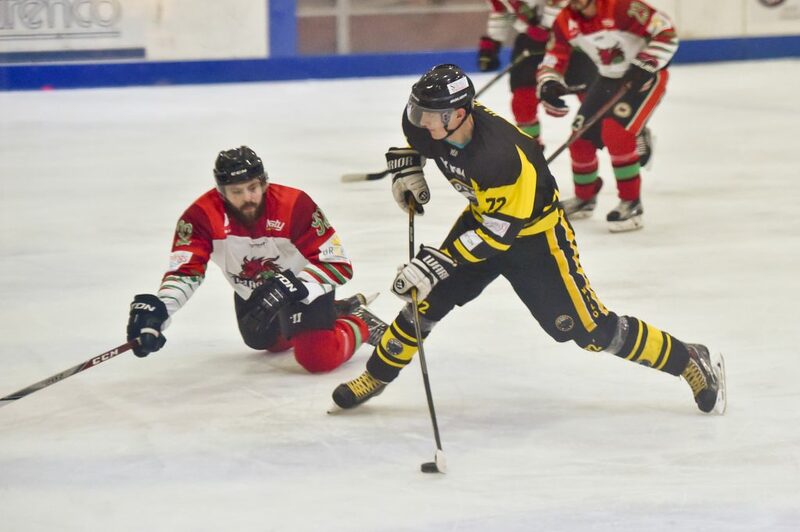 The Dragons currently boast the Division’s joint top goal scorer in James Parsons who, on 30 strikes, is level with the Wild’s Jakub Hajek – so it will be fascinating to see who emerges as “top gun” between the two after the weekend. With both teams still able to qualify for the end of season play offs and with local pride and bragging rights very much at stake there is much for both teams to play for and a bumper crowd is expected – so supporters are advised to arrive in plenty of time. 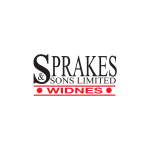 The YKK sponsored Widnes Wild are at home this Sunday 3rd February when they entertain local rivals Deeside Dragons at Planet Ice Widnes. Face off is at 5.30pm and doors open at 4.45. The Wild Academy Under 15 team are making good progress in their first ever competitive season. 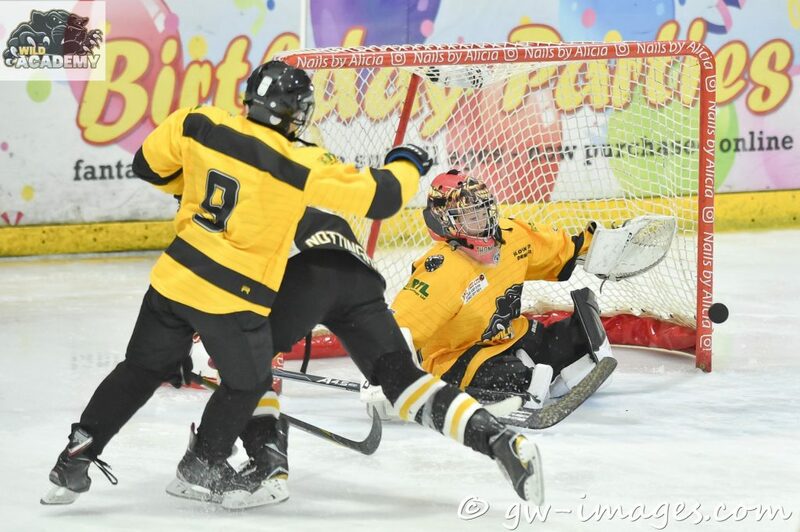 The night before, on Saturday 2nd February, the Widnes Wild Academy Under 15 team take on their Deeside counterparts at Planet Ice Widnes – 6.50pm face off. This is the first season that the Wild Academy have entered teams in the league and the U15s picked up their first ever win with a 4-3 victory over Blackburn in their last home game. They have lost twice to Deeside already this season but are improving with every game and will be keen to get one over on their nearest local rivals. Admission to see these Wild stars of the future is free and the game faces off on Saturday at 6.50pm.